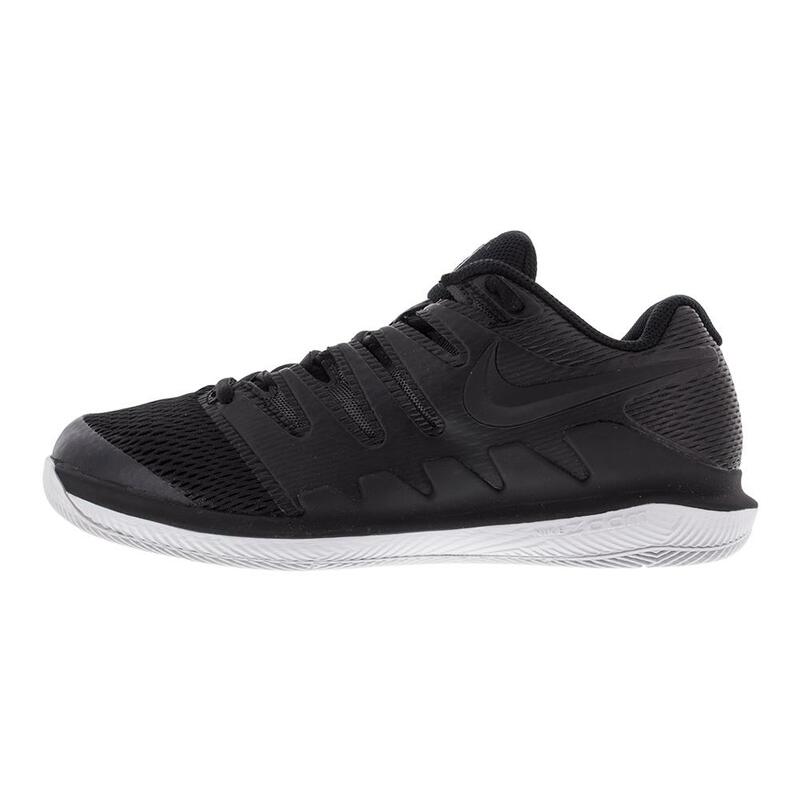 Always be prepared to play in the Nike Men's Air Zoom Vapor X Tennis Shoes in Black and Vast Gray! Nike delivered the ultimate update to the responsive and lightweight ride. 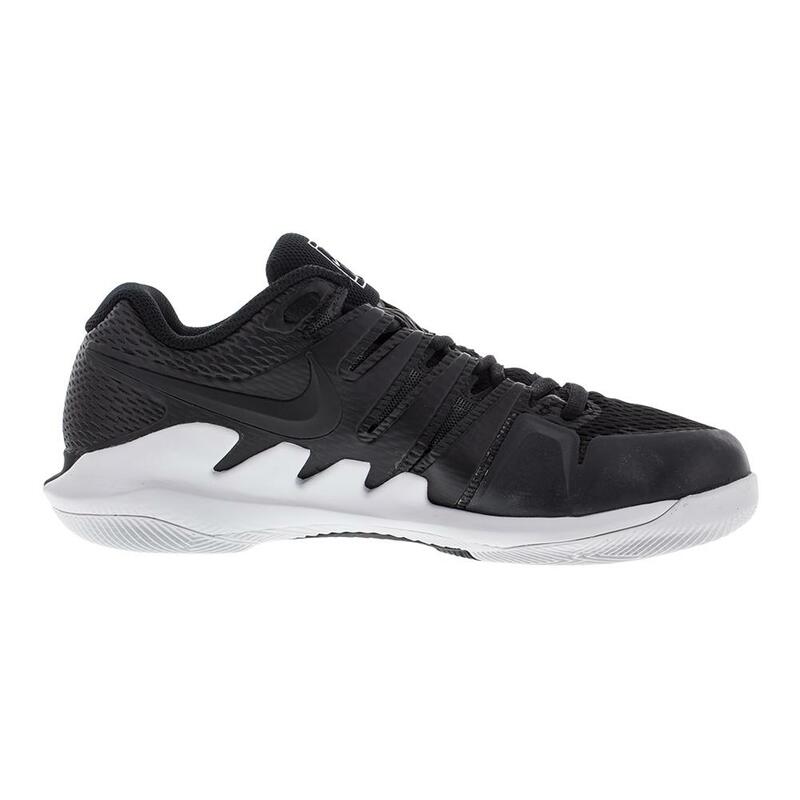 So you can control the court Nike designed this shoe with the latest outsole technology for speed because of the concealed Air Zoom Unit. So it has a tighter fit than the 9.5. This well structured shoe has a responsive and glove-like fit with so if you prefer a little extra room in the toe box our play testers recommend going up a half-size for length and a relaxed feel. This shoe provides exceptional ankle support and a low profile response that's loved by all pros. 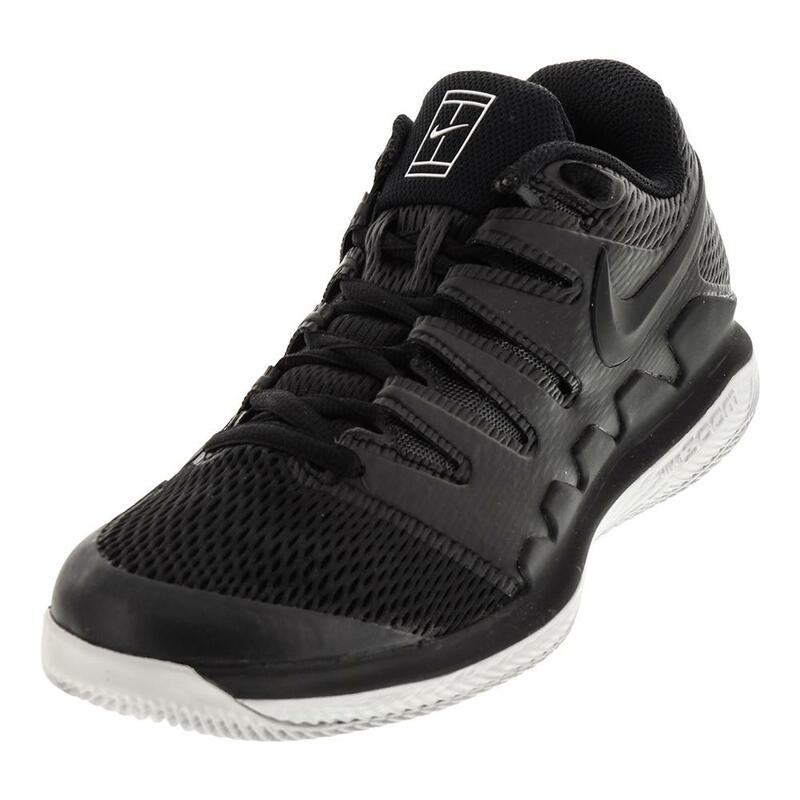 Because tennis requires quick, explosive movement the foot is framed with a technology for control. Give yourself a couple of extra hours to break these shoes in for their best performance. Upper: The Dynamic Fit system combines with lightweight textiles to create a zero distraction upper. It features improved durabilty in the tip and medial side, as well as padded collar for comfort. Midsole: Lightweight Phylon constructed midsole. Nike Zoom unit in the heel with low-profile, responsive cushioning. 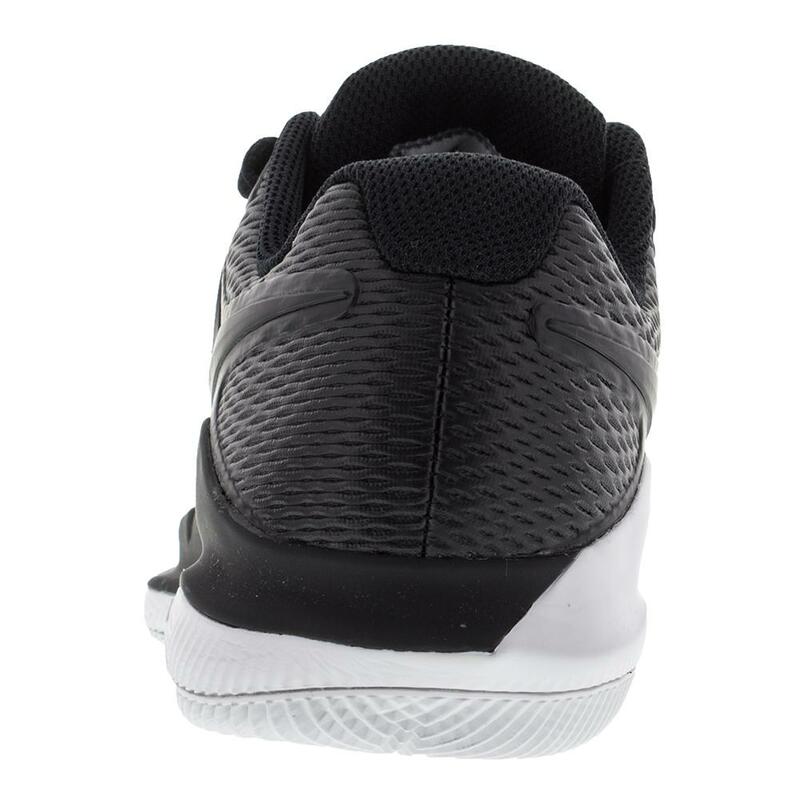 Outsole: Nike XDR Rubber in a herringbone pattern for excellent hard court traction. Visible TPU midfoot shank added for a great transition. 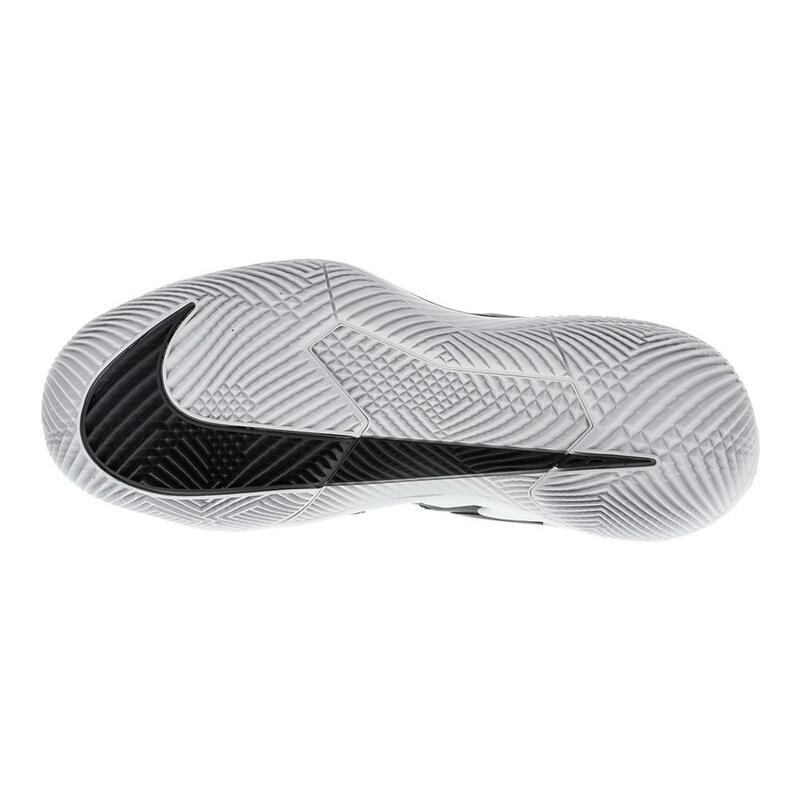 Generative outsole properties placed at the rim for support through traction during fast direction change. 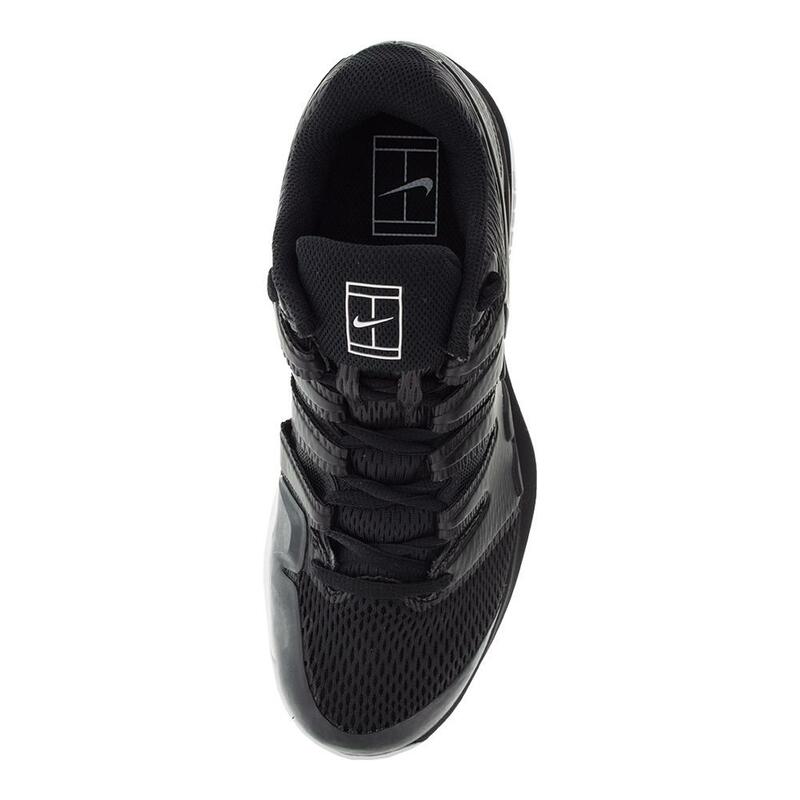 Outsole wears evenly with thicker tread in high-wear zones and removed from low wear areas, for minimum weight.